We really appreciate people RSVP’ing so as to plan the ritual in an appropriate sized space. However, if you feel like being spontaneous, just show up and we’ll welcome you. Monthly Gathering! We are now offering a one-hour earth-based ritual on the first Tuesday of every month from 6 – 7 pm. We’ll be outdoors if possible, and otherwise, we’ll be in Hitschmanova, the room in the basement with a direct outdoor access down the slope from the parking lot. The council who organize earth spirit events consists of Mairy Beam (chair), Mary Bennett (communications), Louise Bunn and Huguette Sansonnet. We hope to start offering public rituals for some of the sabbats. 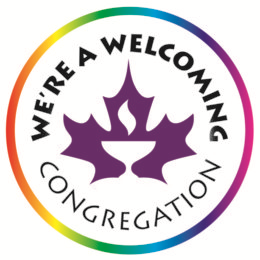 Honouring the sixth source in our statement of religious sources (earth-centred traditions), some Unitarians celebrate “turning the wheel” through the seasons. Our buildings and grounds offer many opportunities to experience the awe and wonder of nature. From the sanctuary, you can see outside to the natural world. The garden path labyrinth and courtyard paved labyrinth offer a unique meditation experience. Community vegetable gardens sometimes offer some free pickings.You are invited to snip flowers and herbs as you walk the labyrinth. Join our email group After you attend one of our rituals, you’ll be invited to join our email group for those who are Unitarian and interested in or already practising pagan, wicca, or other earth-centred rituals and traditions. We find ways to celebrate the 8 sabbats. e.g. Here is a photo of people dancing the Maypole for Beltane. Here is information from the Unitarian Universalist Association about pagans and Unitarians. 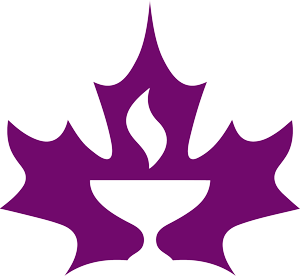 Covenant of Unitarian Universalist Pagans offer many resources. If you answer “agree” to this question, you might want to join us!